The Dubai police had detained Mika Singh at around 3 am from Bur Dubai Thursday night after the girl complained against him about sexual harassment. He was lodged at the Muraqqabat police station. Singer Mika Singh, who was detained by the Dubai Police after a 17-year-old Brazilian girl complained against him for sending her obscene photos, has now been released last night at 11.30 pm from the police custody following efforts by the embassy. He will now be produced before a local court today in Dubai, informed Navdeep Singh Suri, Indian Ambassador to UAE. 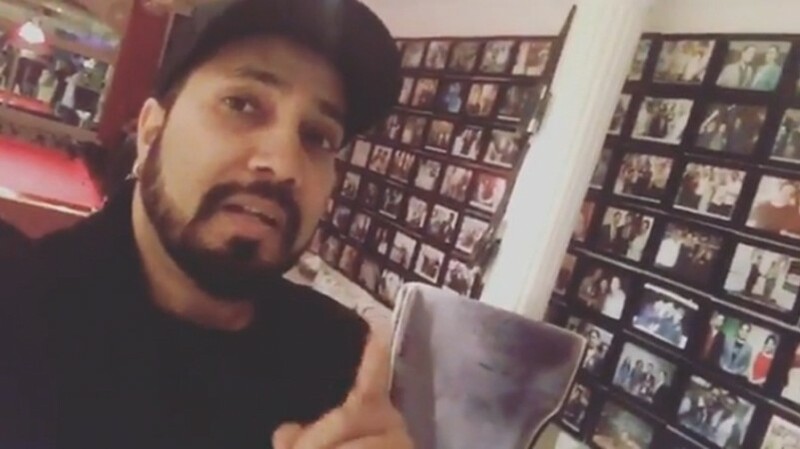 After getting released from the police custody, Mika posted a video on Instagram where he was seen having a gala time with Suhail Galadari, owner of Khaleej Times, and thanked his fans for their love and support for his new song Aankh Maare from Simba starring Ranveer Singh and debutante Sara Ali Khan. The Dubai police had detained the singer at around 3 am from Bur Dubai Thursday night after the girl complained against him about sexual harassment. He was lodged at the Muraqqabat police station. "Our team is at the police station. We are working on it," Suri had earlier informed ANI.